Fashion these days is very much becoming an act of philanthropy as it hardly bothers the imagination of the designers. 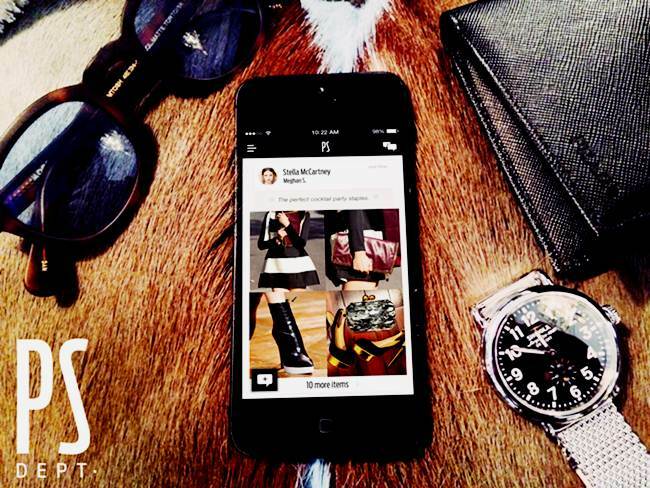 On top of everything, fashion apps have made the things much convenient to adopt. Certainly, you don’t have to chase some celebrity to remain fashion updated. Weekends are no longer wasted on some shopping in some mall. The handy fashion apps provide a complete solution from styling to sale buzzes. 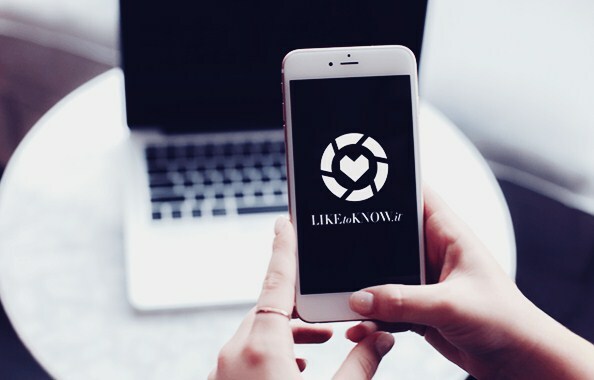 Below we have summed up the best in industry fashion apps which are rewarding and offer a complete reinvention of your personality. The platform offers a whole range of styling paraphernalia for women. It serves as a source of a whole range of products across the web. The application has an insightful option of providing possible sources for shopping. You can shop as you please with easy checkout options. 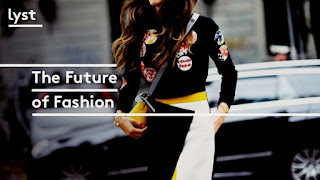 Dria Murphy, the Style and Communications Director of the application have an impactful future vision of keeping it as a universal option for the shoppers. The application has an interesting selling approach in the E-commerce development era which it asks the users to hit “like” on its Instagram posts. After which, the users get an email with the description and pictures of the related post. They work within the horizons of Instagram and making use of is a popular engagement option of the platform. This way, they are doing it both ways. Keeping their social media platform up to the mark and bringing the relevant audience for their products. 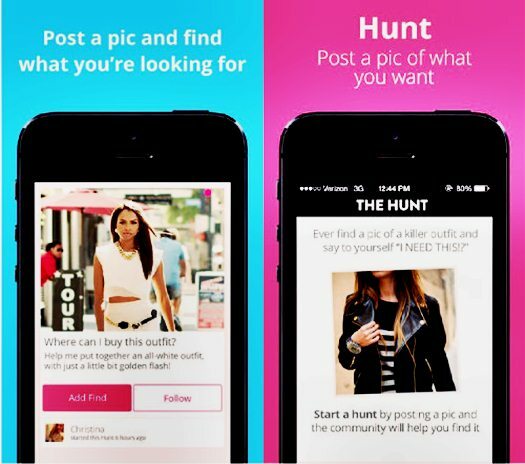 The Hunt is a powerful application which has brought great transformation in the mode of shopping. The app is an ideal example of acting for the community and not for just selling the products online. 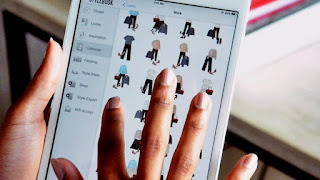 Through this application, people can connect with each other while suggesting the wardrobe ideas. It’s like creating your own community of fashionistas who are caring for each other. There are many other available apps but the Hunt does not prefer to use image recognition technology. People simply post the requirement on the application with the help of an image, along with the added requirements of size and budget. The application strives to provide the most customized experience as compared to many other platforms. Tim Weingarten, who is the founder of the application constantly works on improving the user experience of the application. They have recently added in the option of Android application in their platform. 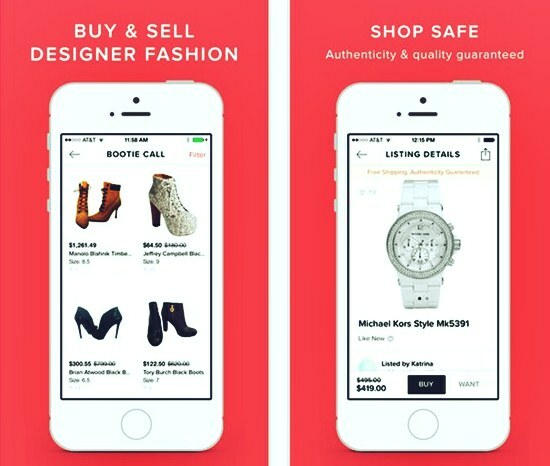 The no-cost application allows the users to add a unique style to their fashion wardrobe. Pose is the application which accommodates millions of outfits which have been shared by various fashion enthusiasts around the globe. Pose serve as a helping hand to women for far ended fashion ideas and looks. 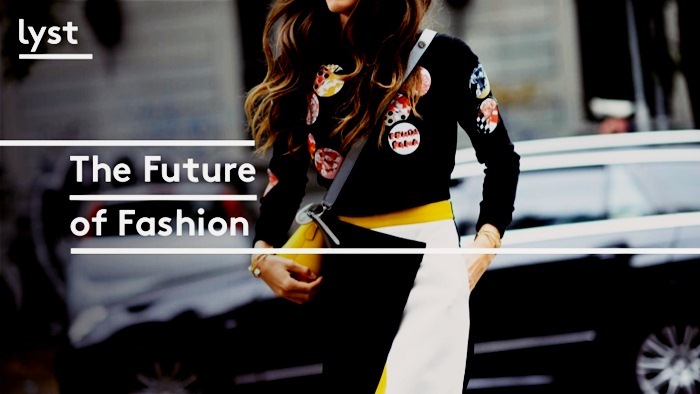 It is a peer-to-peer market space which is building a better fashion world to live in. 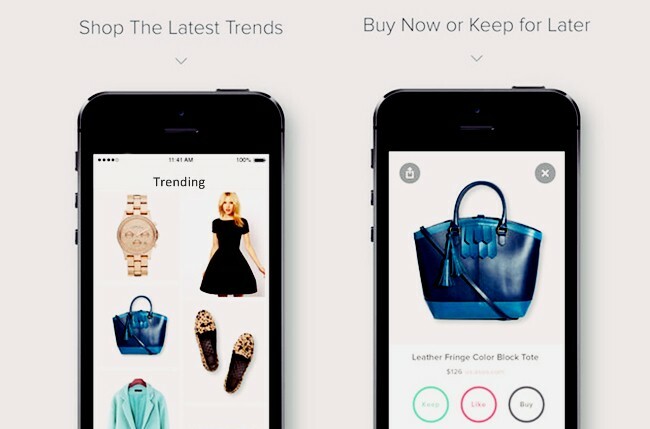 Lyst has found a way to provide what people love the most. Teaming up with the greatest brands, Lyst rekindles your love for fashion. Acting as a one spot solution, Lyst is offering a unique way to pamper your stylista personality. In a nutshell, Lyst has summited more than millions of products from the renowned brands such as Net-A-Porter, Saks and Selfridges and Barneys. Adding to this, they add in the innovative factor to create the most enduring customer experiences. The head of the Brand and Communication at LYST provides some really insightful opportunities for the tech innovators. 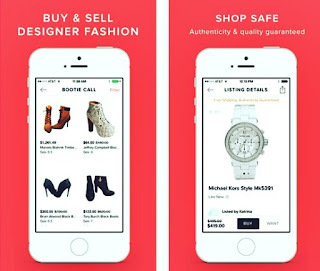 The application serves as world’s biggest buyer and seller marketplace for design and fashion. The application makes it quite simple to display your less utilized wardrobe and fashion to get something more useful in return. Also, you can list and sell endless items at a very minimal commission rate. The shipping and delivery are completely handled by the application itself. Also, the buyers get the assisted return policy with a complete guarantee of authentic stuff. 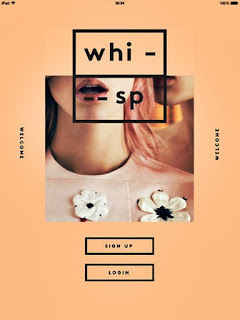 A messaging application for the fashionistas, Whisp strive to provide a complete offline like experience with its safe execution. Whisp acts as a solution for your real time offline shopping experience. We can say, the application is the first of its kind which allows the private messaging while an online shopping experience. This is more like social shopping wherein you share what you feel and love. When it comes to sharing the application, we hardly find any factor in it, even if it is a shopping application. Whisp takes the shopping experience to a whole new level. Stylebook is more like an online platform which serves the personal style IQ of the buyers. Stylebook helps the users to buy what they need. This also keeps a closet feature which is updated with the help of the calendar. With this approach, they help the buyers to make better shopping choices. When the users are aware of their wardrobe clothing, they tend to make far better shopping choices. Stylebook is a complete guideline to help you make better choices in style and fashion. Covet fashion creates a completely contemporary experience with its brand. The users get the experience of creating some of the most followed style looks while shopping for the followed brands. They smartly combine the factor of self-expression with reward based fashion collection. Covet fashion has been the most influential fashion icon for people. Spring is the most lovable marketplace, which allows you to shop directly from the brands which you love and prefer the most. 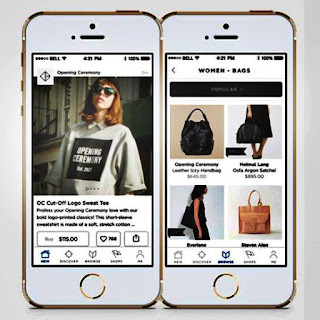 Spring is creating newer pathways for mobile and online shopping. With many preferable brands, Spring is creating a hefty channel for direct shopping. PS Dept. is the very first of its kind application which provides a complete shopping experience across the very best stores. Customers can share their shopping needs and they will be directly connected with the PS personal shopper. The most interesting part is, the personal shopper fulfills all the shopping requirements for them. The platform is specially designed for the people, who do not wish to deal with the offline store managers.